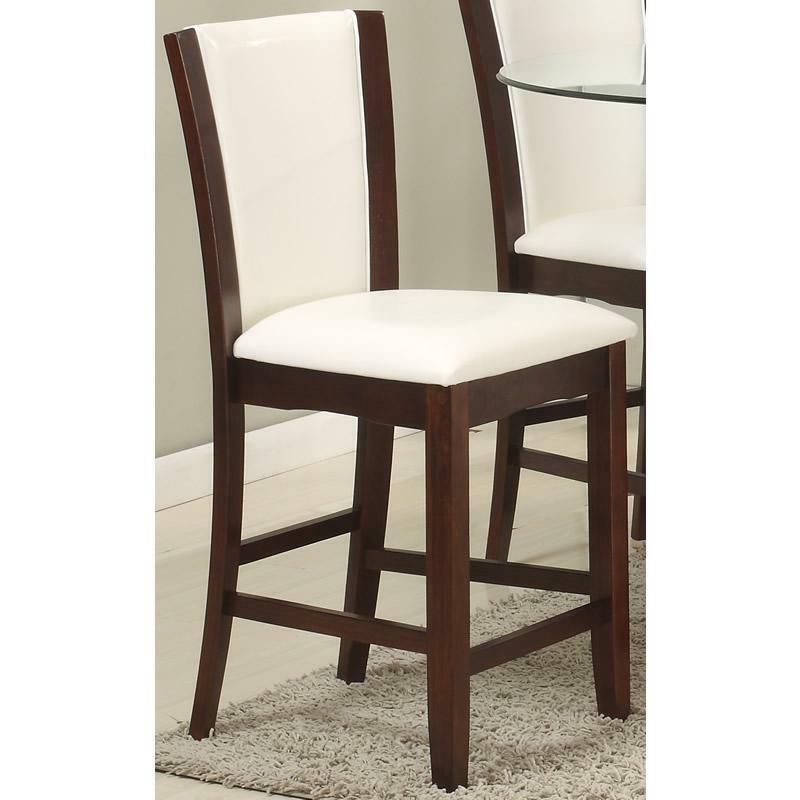 Add class and style to your dining room with these Camelia counter height side chairs from Crown Mark. 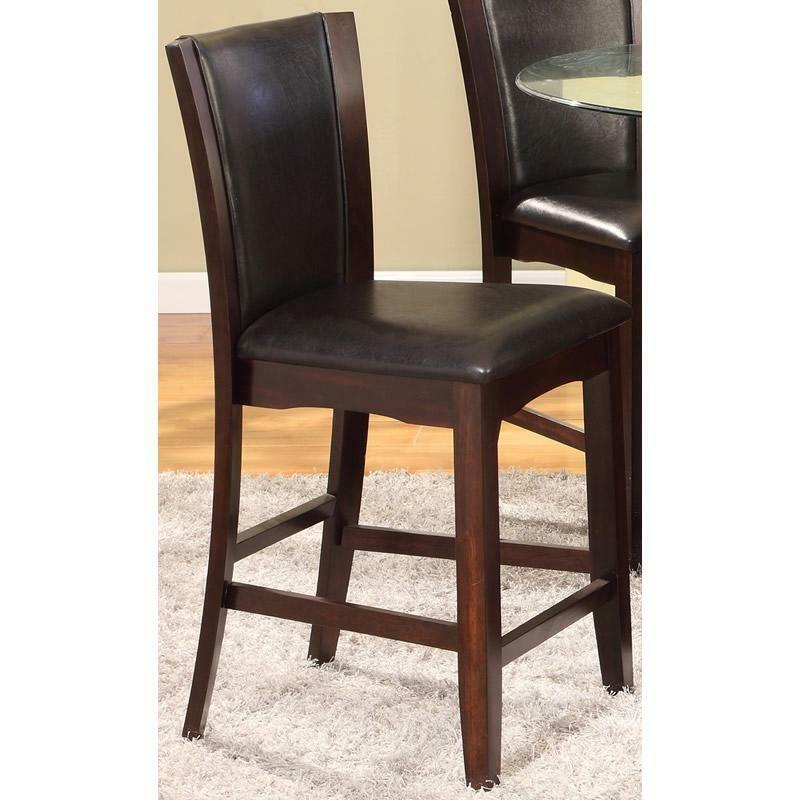 They feature a deep brown finish on the woodwork and the seat and seat back are upholstered in dark brown upholstery for a classy and refined look. 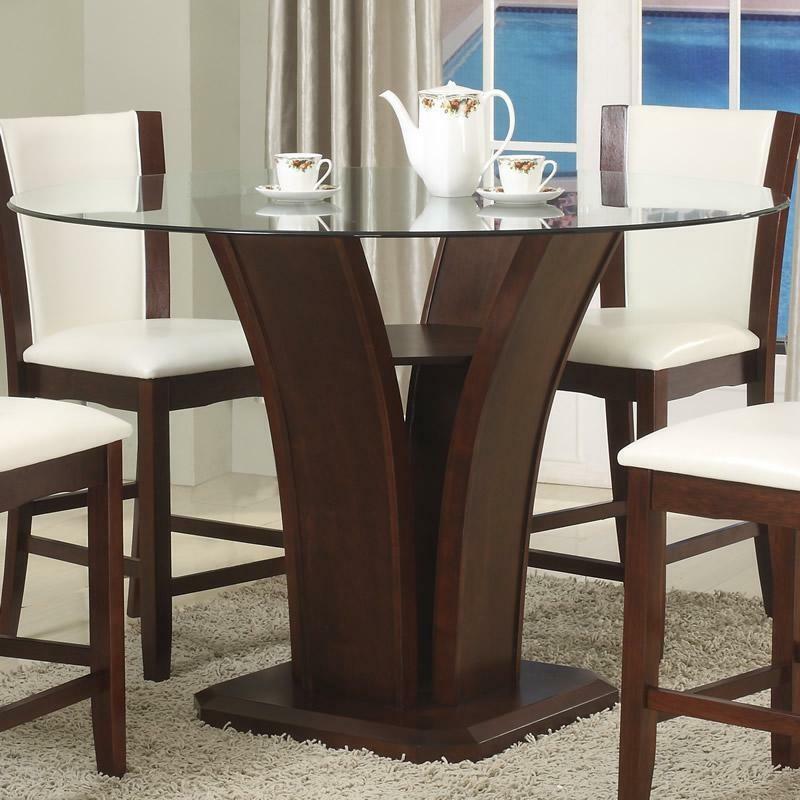 This Sarah dining table from Crown Mark will add an elegant look to your dining room. 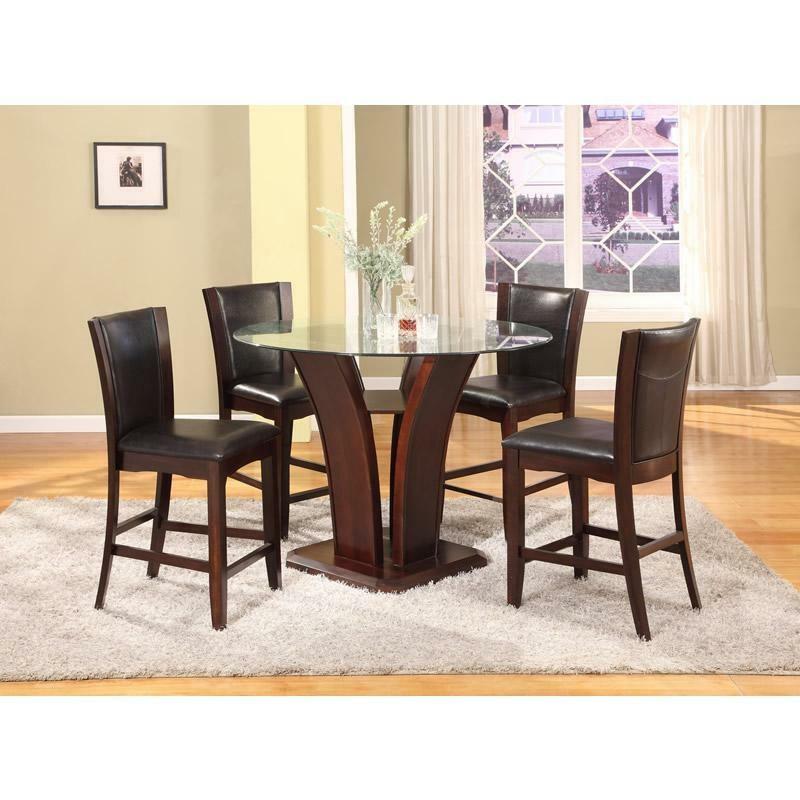 It features a round wood top and stylish metal base. 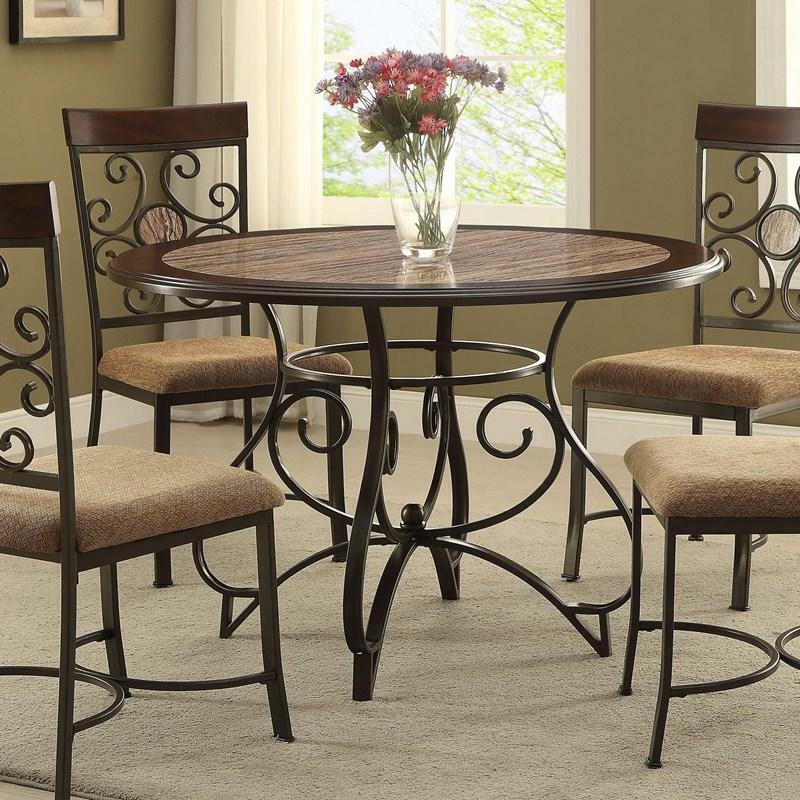 Gather family and friends to enjoy great meals around this beautiful table. 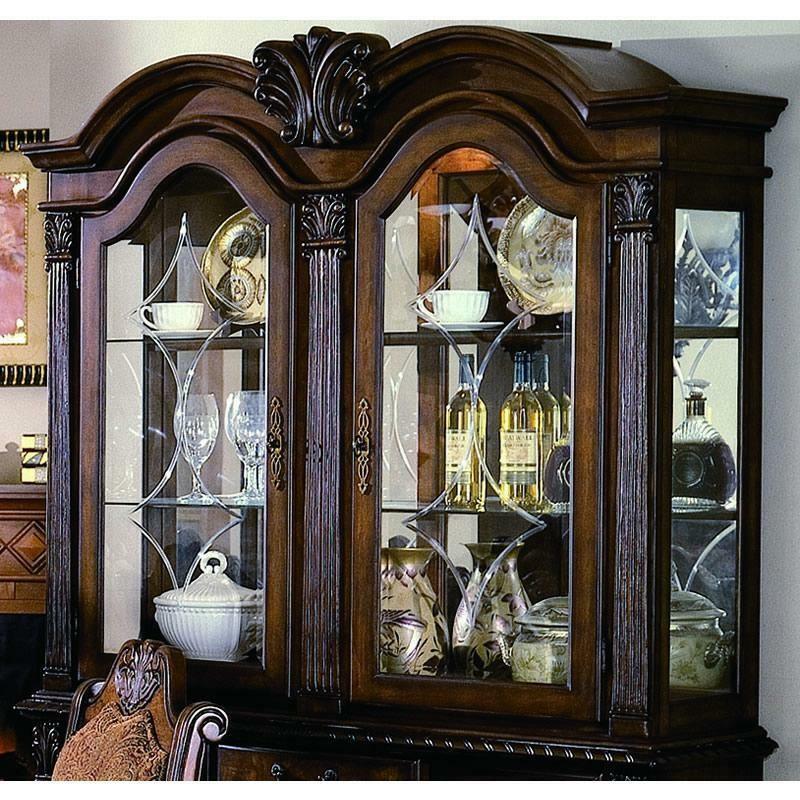 Create a dining room that will impress your dinner guests for years to come with the Neo Renaissance china hutch.